If architects weren’t arrogant, they wouldn’t be architects. I don’t know a modest good architect. Or so said Philip Johnson. To me it feels true. Only the arrogant ones, the ones with an inflated sense of self-importance, especially of one’s abilities are those who are courageous enough to bring about a change. Architecture on the other hand is all embracing, the craft overrides the craftsmen’s fallacies. Whether it is the man who resides in or a woman who tolerates or simply the other way round in multiple combinations, architecture is the big white elephant in the room. We live in it, we live around it and though we shape it, it shapes us more than we can imagine. I love my craft, incepting various worlds in our very own, architects, not doctors, play God I believe. Therefore choosing an architect is as crucial as choosing a religion, a thought-process and a lifestyle. The profession that rides on intelligence and emotion in equal measure while in turn concocting a living environment cannot, in any measure, be lightly looked upon. 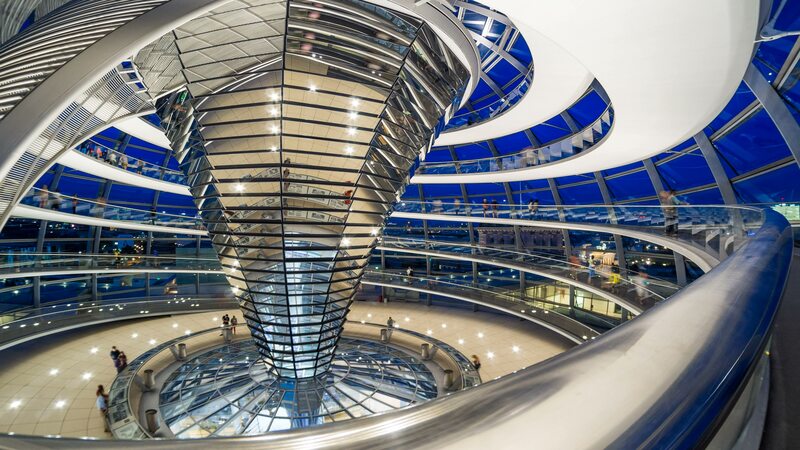 My architecture inspiration is the Reichstag or the German Parliament. Built by architect Sir Norman Foster the lightly places glass dome looks inwards just as much as it reflects off its outer environment. It is in my belief the best of modern architecture. Though I have not visited it yet, the very idea of the dome, a highly sustainable transparent glass structure, looking down into the parliament in action speaks volumes of its concept and application. I wish to visit someday but meanwhile I work with the ideals it encompasses, those of honesty, beauty and sustainability. Of the ancient masterpieces I find a great deal of inspiration in the Pantheon. Light, form and order are essentials in buildings, a takeaway from this ancient wonder. I keenly remember my time at the Pantheon as a 24-year old young architect mesmerised by the beauty in the simple form, the elements of order and the delightful play of natural light into the dome, though restrained but highly welcomed in large amounts into the lofty interiors. The vibe of the Pantheon is so pleasant, it is irrespective of its age or function. The pleasant positive vibe of which I have carried with me ever since and try infusing into every project I design. As I find my voice and my life in architecture, I welcome you to join me on my journey as a passive behold-er reading some wonderful blogs or as an active do-er collaborating with me as co-lleagues, co-workers or clients. Let’s together build a beautiful world that plays host to a beautiful life worth living and then worth writing about! The Perils of being a Hands-on Mom! When the meteor hit my son..